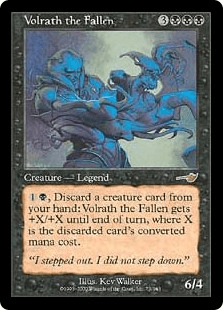 , Discard a creature card from your hand: Volrath the Fallen gets +X/+X until end of turn, where X is the discarded card's converted mana cost. "I stepped out. I did not step down."